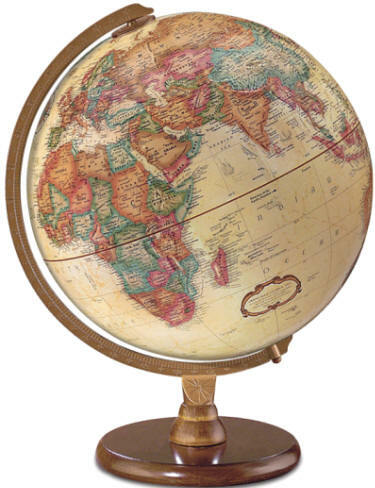 World globe with enduring appeal. The successful blend of antique appearance, up-to-date cartography, attractive solid walnut-finish hardwood base with die-cast semi-meridian and mountains in raised relief make the Hastings desk globe perfect for any setting. USA is shown in different colors.